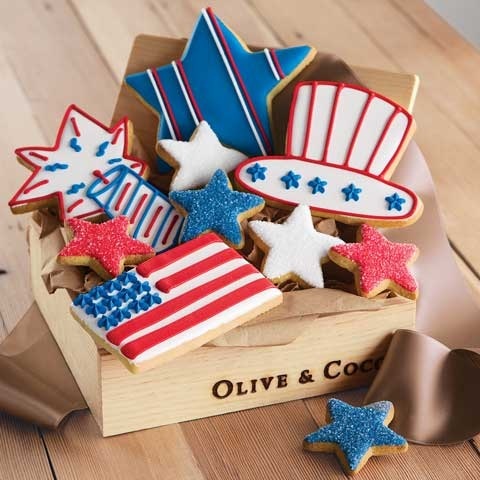 The perfect gift to send to celebrate the Fourth of July: the Star Spangled Cookies I found from the fine folks at Olive & Cocoa. 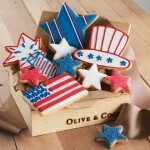 Find the Star Spangled Cookies from Olive & Cocoa here. See all the great gift ideas from Olive & Cocoa here. Just when I was worried that I would never find another great book about the American Revolution, along comes the wonderful new book by Nathaniel Philbrick, Valiant Ambition: George Washington, Benedict Arnold, and the Fate of the American Revolution. I’ve read many accounts of the Revolution and our founding fathers, but none as illuminating as Mr. Philbrick’s take on the relationship between George Washington and Benedict Arnold – something I had a broad understanding about but not nearly as much as learned here – the mark of a great history book. 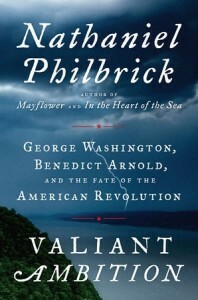 In Valiant Ambition, Mr. Philbrick manages to show us the human side of George Washington, and even American history’s favorite whipping boy, Benedict Arnold with the epic drama of the birth of our nation as the backdrop – and it is a compelling read and perfect for the week before we celebrate Independence Day. Valiant Ambition by Nathaniel Philbrick is available from Amazon and other fine booksellers. Another day and I have fallen in love with another bicycle. This time it is the really cool THIN electric bike from Sondors. As I get older I like the idea of a bike that can kick in with a motor on a tough hill or when I just need a rest. With an elegant look and competitive pricing, the Sondors THIN electric bike may be just the one for me. 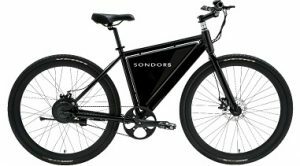 Find the Sondors THIN electric bike here. Learn more about Sondors electric bikes here. …Or a nice gift for a friend that, say, may be living in Kansas but misses his home back in New Hampshire. Just sayin’. I love board games and I love the Board Game collection from the fine folks at Boston-based Eureka Puzzles. 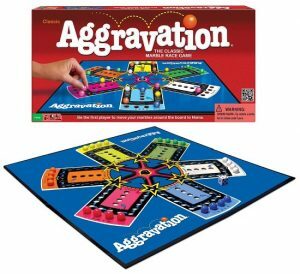 Check out the Board Game collection from Eureka Puzzles here. Find all the games and puzzles from Eureka Puzzles here. Helping protect our children from drug use and addiction is an enormous challenge. The fine folks at The Partnership for Drug-Free Kids exists to provide resources and guidance for families to deal with this challenge. 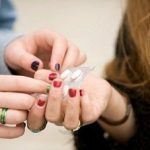 Learn more about The Partnership for Drug-Free Kids here. I really like the Collapsible Picnic Tote I found from the fine folks at Thos. Baker, it’s a great new twist on the classic basket. 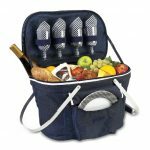 Find the Collapsible Picnic Tote from Thos. Baker here. See all the great outdoor products from Thos. Baker here. 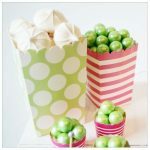 I love the Popcorn Boxes I found from the fine folks at Simply Baked – not just because I love popcorn and anything that can hold it for me – but also because they can be used for just about anything but popcorn and look good doing it. 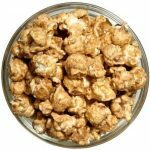 Find the Popcorn Boxes from Simply Baked here. See all the cook baking-related products from Simply Baked here. Having a cold any time of year really stinks. But having a cold in the summertime is particularly stinky. 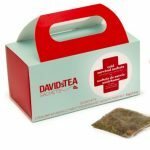 The Cold Survival Kit from the fine folks at David’s Tea is the perfect thing to have on hand in case of a cold or to send to that friend or love one who is suffering – any time of year. Find the Cold Survival Kit from David’s Tea here. See all the fine teas and related products from David’s Tea here. When I was a kid I learned some basic computer programing, back in the day when the programing language was actually called Basic. I had a knack for it and wrote some short programs that helped me catalog my record collection and show cool designs on the screen. I sometime wish I kept up with it, at least to the point where I moved on to other languages. Anyway, I think I would like to learn to code something new and the best way to learn is to use the same training that kids would use, like the book Coding Games in Scratch by Jon Woodcock. Sure this book is designed for kids, but it is also a good start for anyone (like me) who is starting from scratch. 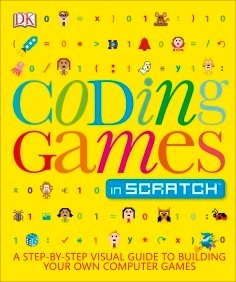 Coding Games in Scratch by Jon Woodcock is available from Amazon and other fine booksellers. Lost Cowboy is powered by	WordPress 5.0.4 and delivered to you in 1.029 seconds using 59 queries.